MOSCOW, RU. 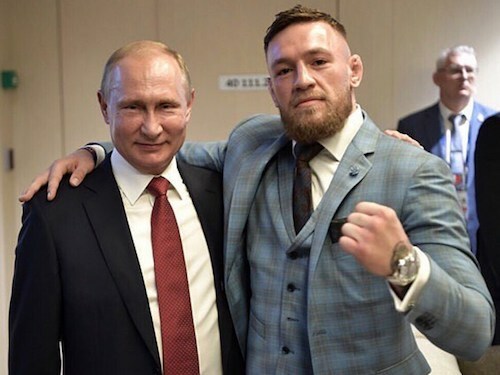 (THECOUNT) — UFC fighter, Conor McGregor, attended World Cup final in person this weekend, showing up as a personal guest President Vladimir Putin. He finished with “Go Russia” … written in Russian. Hopefully they’re both aware Russia got knocked out in the quarter finals, but that’s beside the point. 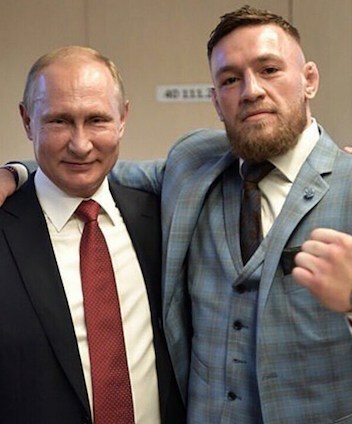 What’s important (and weird) is that Conor is super chummy with Putin … who’s known as kind of a bad dude, depending on who you talk to.